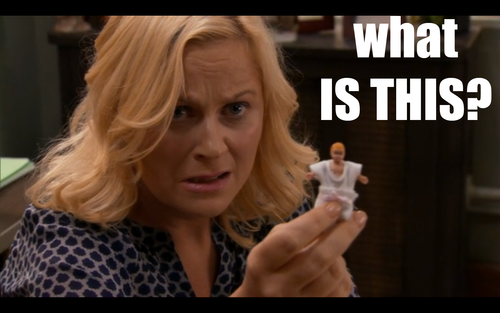 What is the Knope of the Week? It’s ELGL’s way of recognizing an individual or group of individuals who have excelled in promoting the public sector. Recipients may come from the public or private sector and are nominated by ELGL members. Recipients receive an incredible amount of recognition and prizes that we are not at liberty to disclose. The storied history of the award dates back to 2012. Robyn Christie, Bend city recorder and ELGL Central Oregon (CO) chapter president, played host this week to many of us during the Oregon City County Managers Association conference. Robyn and Ben Kittelson were responsible for organizing the Happy Hour at Crow’s Feet Commons on Tuesday. Robyn is a bit of an ELGL forefather. 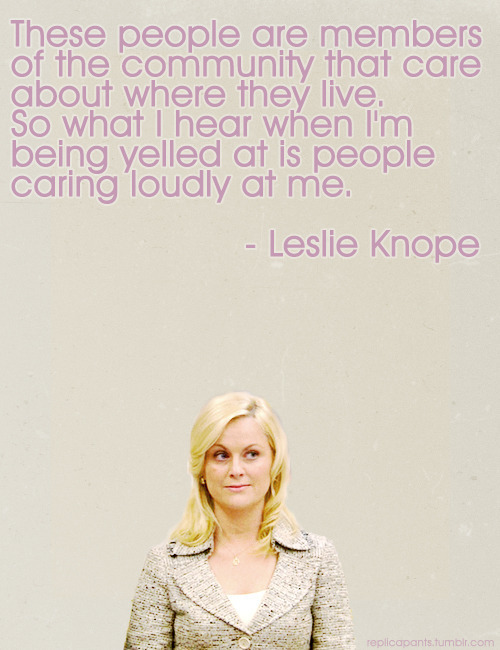 She was one of the 16 who attended the inaugural ELGL meeting at Oswego Grill on September 14, 2010. Her list of ELGL contributions is lengthy and includes serving on the ELGL Advisory Board, creating the ELGL-CO chapter, organizing a 2010 forum with Alex McIntyre, former LO city manager, and assisting with our plan to webcast future ELGL forums. 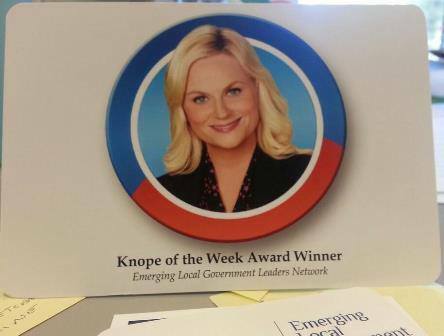 We turn to Robyn’s colleagues to hear what they have to say about this week’s Knope and her contributions to ELGL and the local government profession. Robyn is a consummate professional – poised, graceful and amazingly insightful about local government and Council politics. She’s a great example of a professional who’s successfully balanced a demanding job with high octane family and outdoor pursuits. She’s an uber happy hour planner to boot. During my time working with Robyn on ELGL Central Oregon I enjoyed her results-driven, can-do attitude, and her professionalism. It was great to have an awesome partner to get ELGL Central Oregon going, she was the brains for the two of us. Robyn impresses me with her top notch organizational skills and positive attitude. She manages the Central Oregon Chapter of ELGL with grace and is a strong communicator. ELGL is lucky to have her as our liaison east of the mountains! Robyn is a person any team would be excited to have onboard. She is dedicated to ELGL and to connecting emerging leaders to opportunities. Coordinating the kickoff of the ELGL Central Oregon group is just one of her many contributions to promoting career growth in the local government profession. Robyn is amazing and talented. She quite literally changed my life and showed me what it is to be happy by introducing me to Powell’s Candy Store in Bend. Thank you, Robyn! You are the best!